"(The National Marine Fisheries Service) has clearly made an effort to create a rational, reasoned process for determining how the action agencies are doing in their efforts to save the listed salmon species. But the process is seriously, 'significantly,' flawed because it is too heavily geared toward a status quo that has allowed all forms of river activity to proceed in a deficit situation - that is, relatively small steps, minor improvements and adjustments - when the situation literally cries out for a major overhaul. Instead of looking for what can be done to protect the species from jeopardy, NMFS and the action agencies have narrowly focused their attention on what the establishment is capable of handling with minimal disruption." 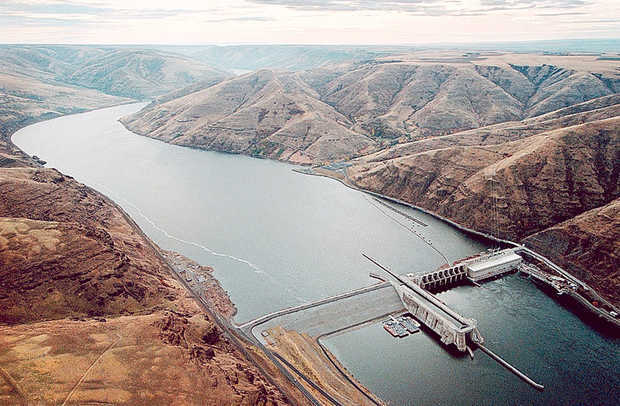 Dams on the lower Snake River - and the port operations they support - continue to operate under a legal, if not moral, cloud. We've even run out of metaphors.